PLEASE NOTE ALL TICKET PRICES HAVE BEEN SET TO '0' UNTIL THE CIRCUIT RELEASES TICKETS. Your booking is a no-obligation reservation, and once the ticket prices are known you will be sent an invoice for the correct amount. You will be able to cancel your booking without obligation if you wish. - Grandstands. 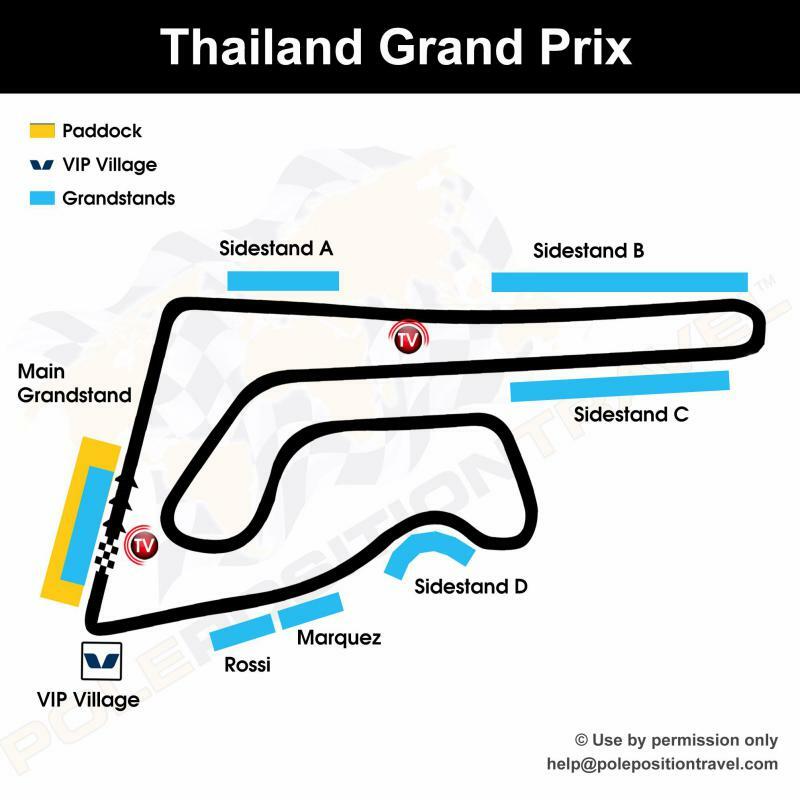 All entrance tickets will have to be exchanged against plastic cards at the entrance of Chang International Circuit; the plastic card fee (20 baht) is not included in the ticket price. n.b. We sell grandstand tickets ONLY to package customers. If you wish to purchase on your own 10 or more tickets, we may be able to help. - Hospitality. We currently offer the top VIP Village, which also grants paddock access. Further options may be announced, contact us. - Team Experience. You will be a guest of a team in Moto2. Note that there isn't much team hospitality in the event, we offer an upgrade to the VIP Village which includes most of the MotoGP team benefits, notably track visit and garage tour(s). Select this to get the MotoGP Team Experience. We also offer a very limited number of PLATINUM experiences - this is the full VIP with team experience, and adds a service road shuttle and a pass for the MotoGP start grid!